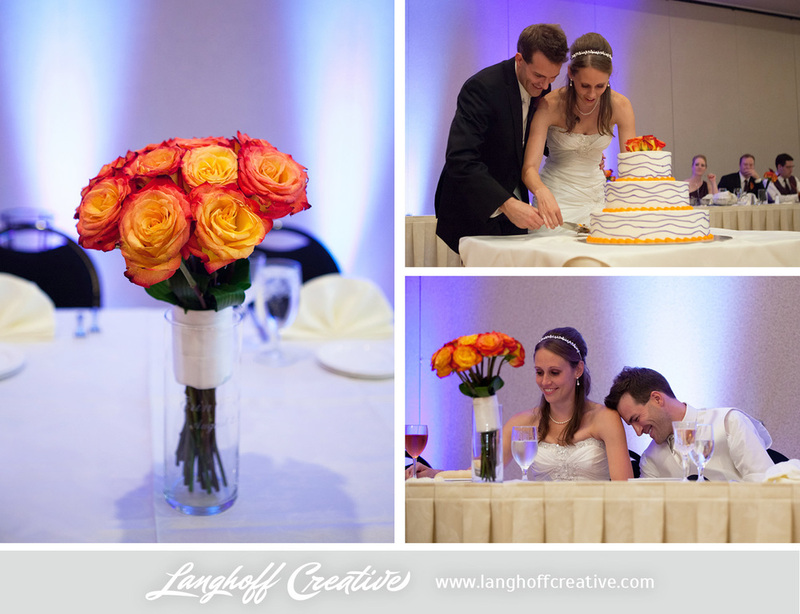 As friends of Matt and Erin, this August wedding celebration was simply joyful. They are an adorable couple with wonderful, genuine families and loyal friends supporting them. 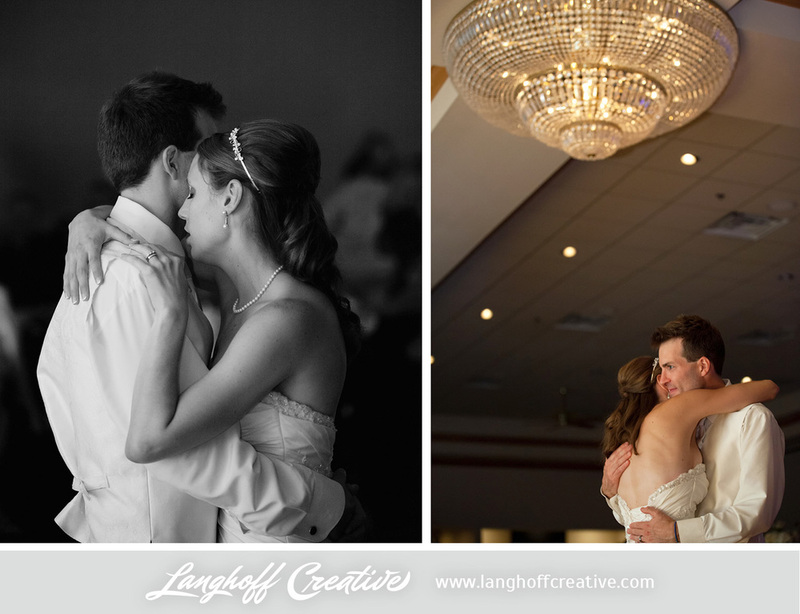 Chad and I were truly honored to capture the first chapter of their married love story! 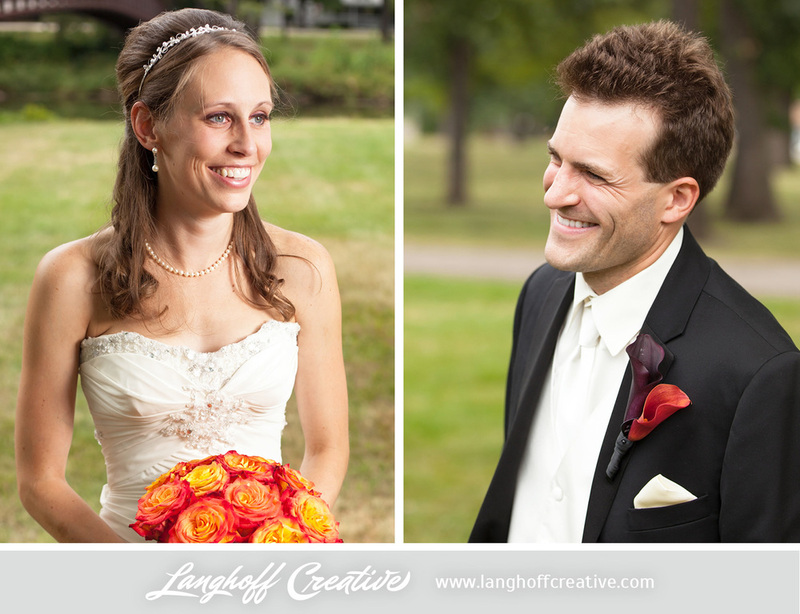 We especially loved their intimate "first look" they shared together before the wedding ceremony. With no one around, it was a chance for them to admire each other in their most beautiful moments and to take a deep breath together. 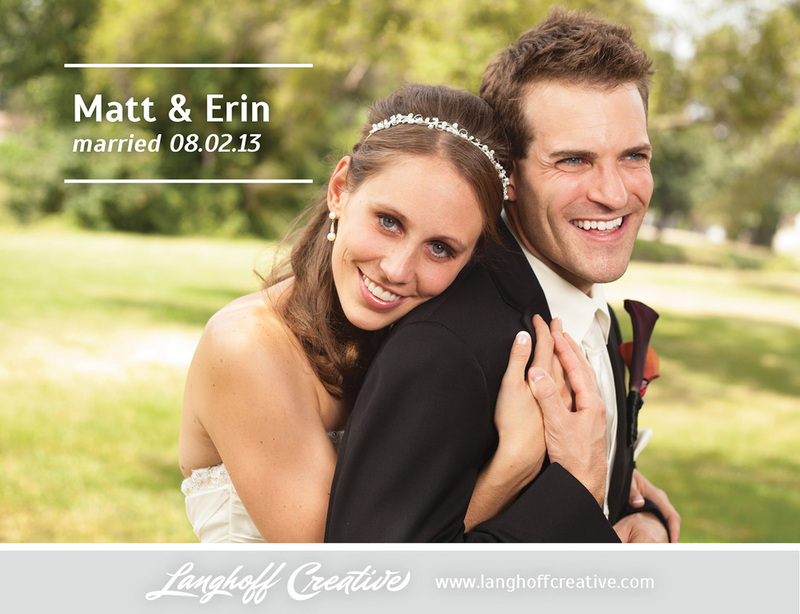 Their emotions bubbled over, and Matt lovingly caught Erin's tears as they gently rolled down her cheeks. 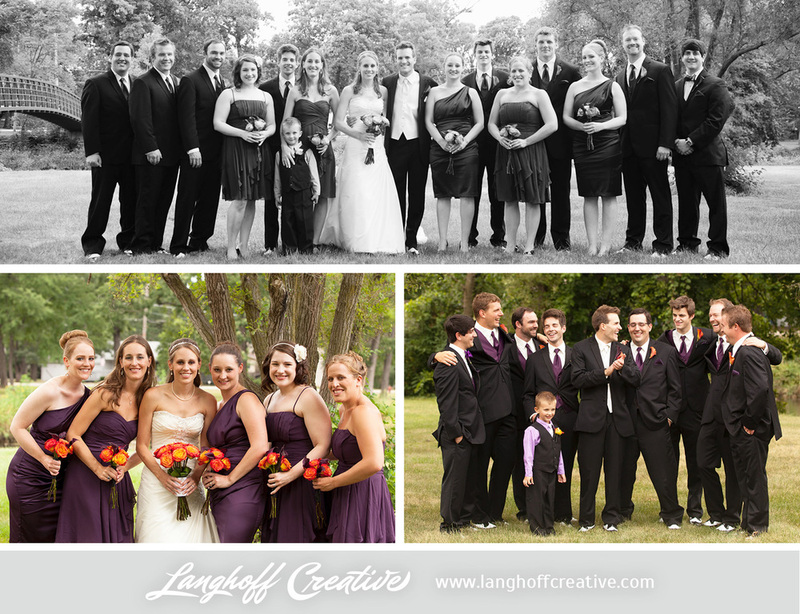 We got to share ALL of their wedding photos with Matt, Erin and their families at a special Reveal Party at their house. It was really neat for them to relive all the moments together. As a couple, Matt and Erin have been soaking in their photos for the last couple weeks and they have now been released to the public! 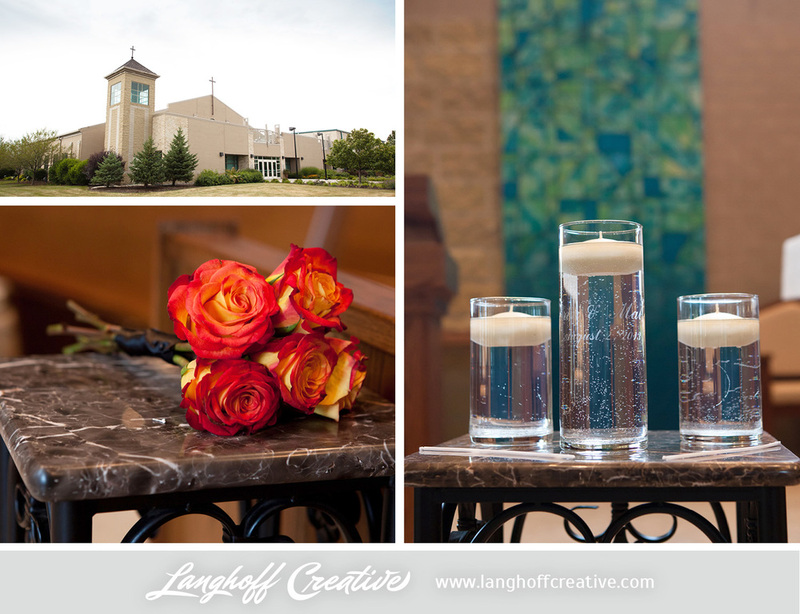 I am SO excited to share some of our favorite images from their beautiful Catholic ceremony at Holy Family Church in Plainfield, IL and their reception that followed at Jennifer's Garden. Everything was fantastic.... there were so many happy tears (read below about the dime! 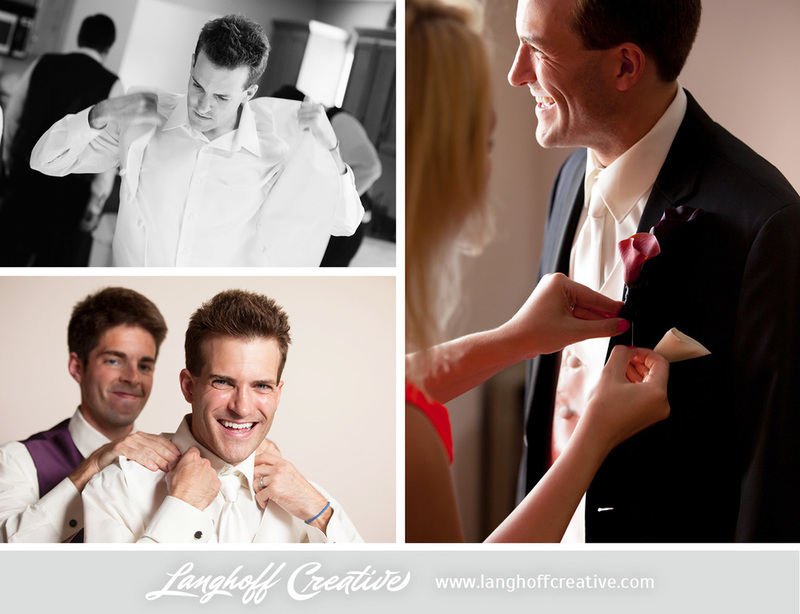 ), big smiles, pretty details, family heirlooms (the Bride's pretty jewelry!) and fun memories of the day. Plus, I don't think we've ever witnessed a more skilled group of people on the dance floor.... Wow! Can you say air guitar? How about crowd surf? Haha! This dime made the day... Not too long ago, Matt's grandfather passed away. Just before he died, he promised his family that he'd be sending dimes from Heaven to remind them of him. 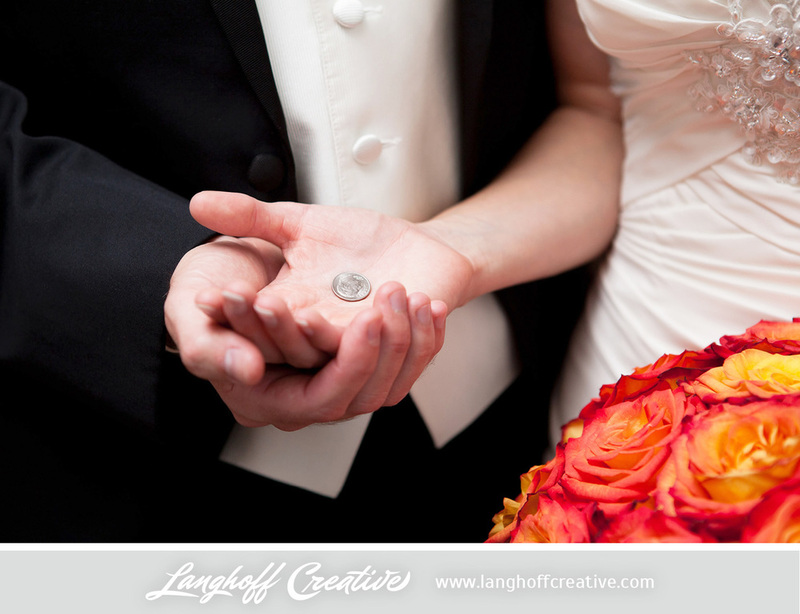 Recently, Erin has been finding dimes everywhere! Each one is special to them, but none have been quite as meaningful as this one! 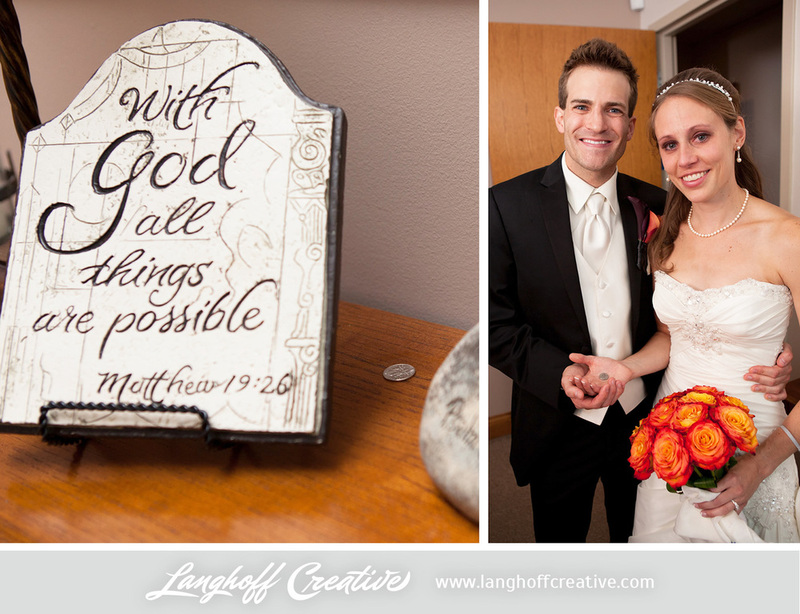 Erin found it in a side room of the church just before the ceremony began, and it was right next to a Scripture reference from Matthew, of all books—how perfect. "With God all things are possible." Matt embraced his soon-to-be-bride and the two of them shared this teary joy & amazement with Matt's mother. Thanks for being there, Grandpa!